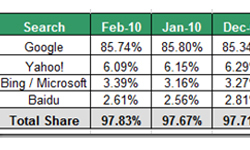 Here are the latest search engine market share results for November 2009. 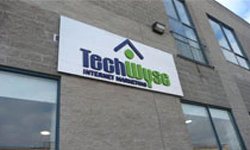 It happened again this month; Google secured the highest level of market share in the search engine market share arena of all time in November 2009. Google has continued to gain ground over the other 2 big search engines in November. This despite a strong media push by both Yahoo! and Bing over the last months both on television, radio and print. Why the continued growth? 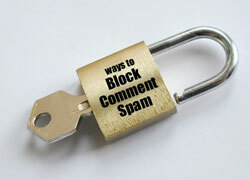 If you read anything on the various Google blogs you will see that they are not sitting on their success. Innovations in search including keyword suggestions, inner page links beneath rankings, growth of Google Local and their newer innovation to product suggestions are just some of the things they are doing. Complementing this are some fantastic tweaks to the Google image including paying homage to Sesame Street anniversary, and branding changes during holiday’s. All of these items are a recipe for continued dominance by Google on the search engine market share front. No other search engine has felt the market share squeeze more than Yahoo! over the last years. Back in December 2007 they had a share of 10.68%. This has now dwindled to 6.22%. We predict at this rate that Yahoo! should be overtaken by Bing by end of 2010 — that is unless Bing continues its downward trend as well! Reasons for the sharp decline? They are numerous but one of the biggest contributors is likely the bastardization of the search results page dating back a couple years now. Put simply it is no longer clean. It is filled with advertising and clutter. Add to this that the Yahoo! Search blog does not feel that well managed (or updated) and you have evidence that Yahoo! just isn’t interested in competing any longer. #1 Google – 84.91% of search engine market share in November 2009. Up from 84.53% in October 2009 and up from 82.60% in October 2008. #2 Yahoo! – 6.22% of search engine market share in November 2009. Down from 6.68% in October 2009 and down from 8.52% in November 2008. This rightly points out that it’s not that easy to sniff away existing customers. Remember that more than 80% of search engine users are not aware of the developments taking place around it. They may have heard of new Search Engines and collaborations but are unaware of the different features available of different Search Engines. Moreover, what if they are satisfied with the existing? Generally people will look for alternatives only if they have problems with it. That’s why still a major chunk of IE 6 users exist even though free browsers are available with more features like Mozilla. Yes, I also expected Bing could surpass Yahoo! sooner than this. It seems that we had too high expectation on it. Great, Google hits highest share for almost a year. Google’s research and innovation paid off here. Seems Bing has recorded a slight increase in its share in US. You’re right it appears that search pioneer Yahoo! has almost retreated from the SE game, but still ardent Yahoo! fans are expecting a resurrection of their favourite Y!